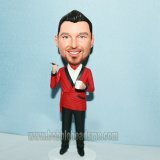 M-381 Costom Boss Business Male Bobble head.If you like to show your gratitude and appreciation to your boss, manager or superior in a unique and thoughtful manner, this customized boss bobblehead is ideal to make him laugh and impressed. It features a man in blue shirt, black pants and shoes standing with hands in pockets. Details like the buttons on the shirt and leather belt buckle are finely mad by the skilled artisans in Funbobbles. 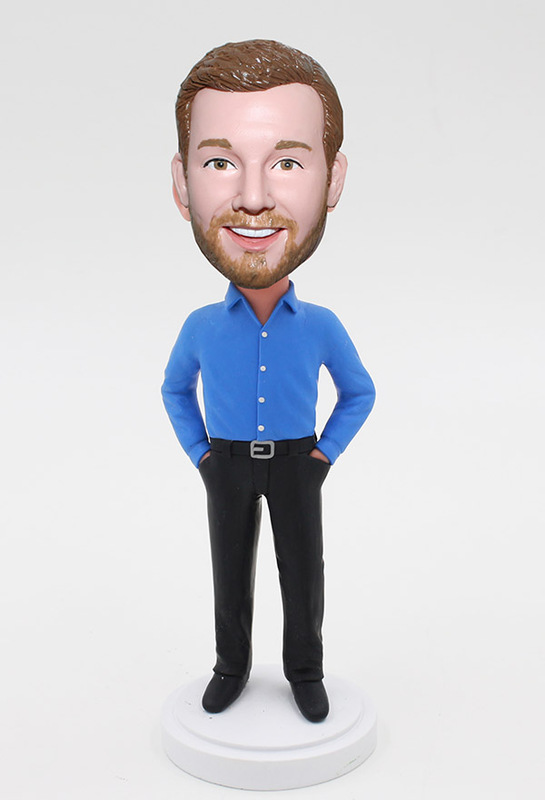 If you make to bear the likeness of your respected boss or superior, he will be deeply impressed by your special gift and display it as a companion in his office.